Next time you go for a weekend break, or a Sunday drive, visit the places that really make Britain great: its landscape of brands. Surrounded by concentric rings of mountains and castles, it doesn’t really matter which angle you approach North Wales from, it’s rocky. Traditionally rocks were Wales’ main export: slate and coal. But Criccieth is famous for a much tastier product, and it’s got nothing to do with mint sauce. When you reach the little seaside town, nestling into the coast of the Lleyn Peninsular, you’ll discover a trade mark diamond in the rough terrain of the Snowdonia National Park. Since 1927 the Iris Café on Castle Street, Criccieth, has been the home to North Wales’ favourite ice cream – Cadwaladers. 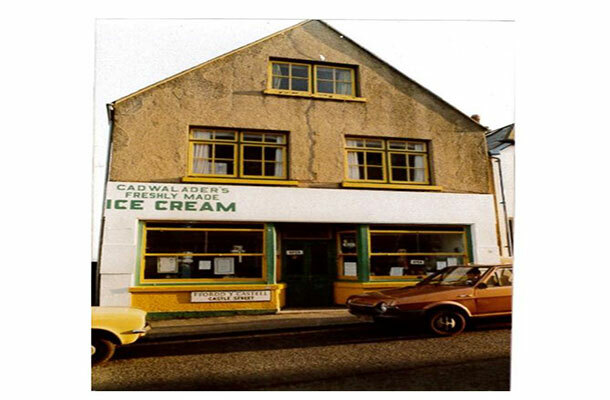 Cadwaladers original store – Vanilla Ice Cream has been on the menu since 1927. Today the original store is one of 14 smart ice cream and coffee houses bringing Welsh ice cream to (amongst other places) the heart of Manchester (Trafford Centre). 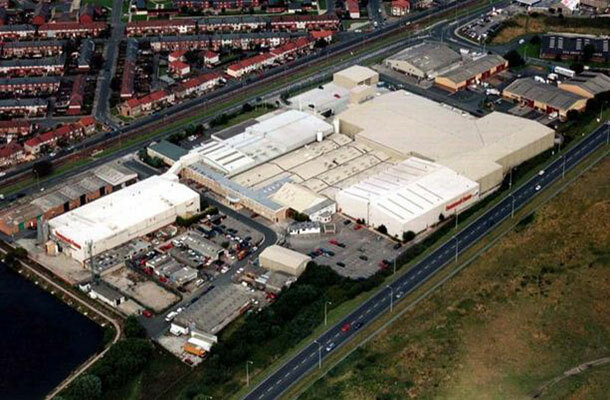 Take the tram from Blackpool, step out at the northern end of the line and discover Fleetwood. Perhaps a little more reserved than its southern neighbour with the ‘look at me’ tower, Fleetwood’s hidden gem is not on public display. Even today, only a few lucky competition winners will be able to enter the factory that makes one of the world’s most famous throat lozenges. Fleetwood is the home to Fisherman’s Friend. 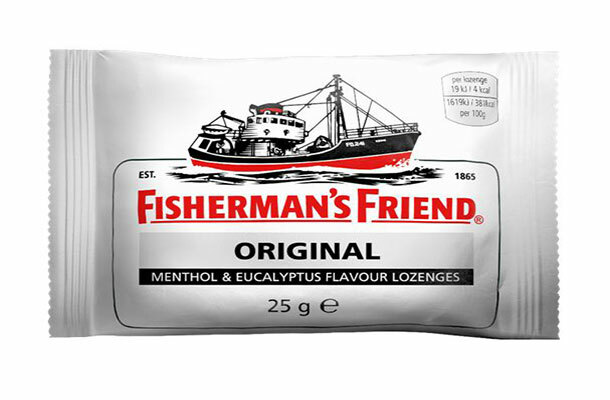 Today over 5 billion Fisherman’s Friend lozenges per year are produced in the 600,000 square foot family owned factory in Fleetwood. The company and its brand have grown with their home town since the very first menthol and eucalyptus medicinal drink was developed by Fleetwood Pharmacist James Lofthouse in 1865. His market, chilly north Atlantic cod fishermen, disappeared at the end of the Cod War. But, by then the Fishermen’s Friend brand had become a global success. After conquering Scandinavia, North America and Thailand, China is taking up the taste of Fleetwood. 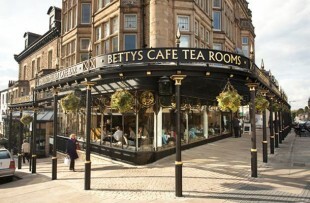 Bettys of Harrogate (UK trade mark 2011278) home of Yorkshire Tea. The busy spa town of Harrogate, on the boundary of the Yorkshire Dales national park, is no stranger to visitors, or to innovation. Its spa and spring waters have drawn visitors since the seventeenth century and Harrogate has spawned some of the UK’s most well established businesses from sulphur soap to Farrah’s toffee. Perhaps one institution stands out. 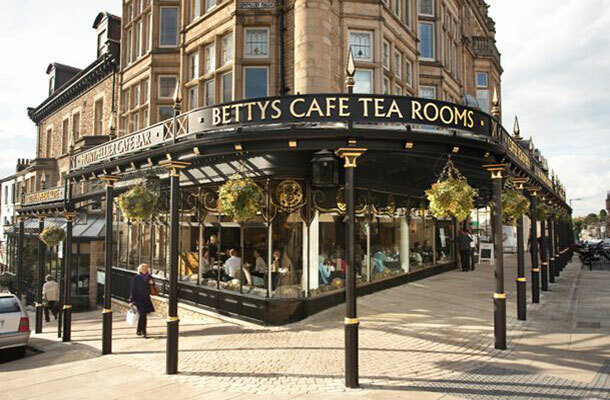 Bettys Café is an icon for locals and visitors alike – it defines the Yorkshire, indeed the British, tea ceremony. It is a place of almost sacramental tea worship and the home of Yorkshire Tea. Tea drinkers who are unable to reach Harrogate can find Bettys Cafés in Harlow Carr, York, Ilkley and Northallerton. The question of exactly why Dundee, a town on the east coast of Scotland with a brutally chilly and dark climate, came to have a reputation for cooking with oranges has vexed many historians. Jam making is suited to the area, where the long growing season sweetens soft fruit. But why Oranges? Were the oranges shipwrecked and washed up on the Dundee shoreline? Was Dundee already a port through which oranges passed? Or did Spanish ship full of oranges simply shelter from a storm? Whichever view you subscribe to, a glut of oranges came to Dundee by sea and James Keiller and his wife Janet, who owned a small sweet shop in Dundee, began making jars of marmalade in 1797. This was the moment when the connection between the orange – through marmalade – and the market was made. Keiller’s Dundee Marmalade was spread throughout the British Empire making marmalade, breakfast and Dundee synonymous. Today Mackays is the last commercial traditional marmalade producer in the Dundee area and their factory shop can be visited on weekdays and Saturdays. 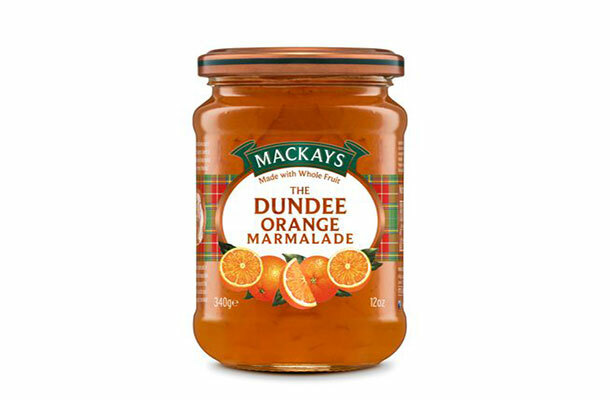 Mackays the last commercial marmalade manufacturer in the Dundee area. 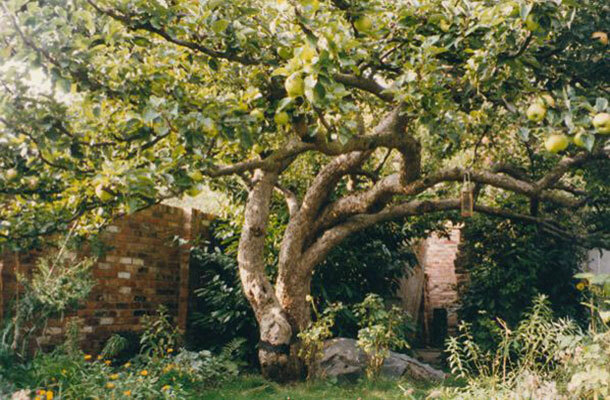 The Armagh Bramley Is the UK’s only EU protected apple variety. It became a Protected Geographical Indication in 2012 guaranteeing the provenance of the 35,000 tonnes of Bramley’s grown in Armagh every year. Armagh’s land-locked location, the tempering effects of Loch Neagh and the unique rolling landscape, coupled with the know-how and expertise of the Armagh apple growers, have refined the Bramley to new heights of perfection. 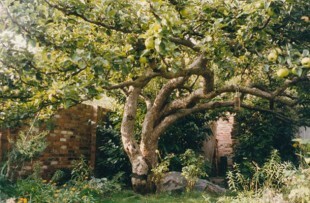 The PGI status confirms the unique taste and quality of an Armagh Bramley. You can only experience the pleasure of cooking with an Armagh Bramley if your Bramley was grown in Armagh. Devotees of the Armagh Bramley can visit the Armagh Apple Blossom fair in May or Richhill Apple Harvest Festival in October. [Images courtesy of: Cadwalader Ice Cream Limited, Lofthouse of Fleetwood Limited, Bettys and Taylors of Harrogate, Mackays Limited and The Bramley Apple Information Service.